Matt Davis is the 2016 Fred Mitchell Award winner. University of North Carolina at Pembroke senior place-kicker Matt Davis (from Richlands, NC) is the recipient of the 2016 Fred Mitchell Award. 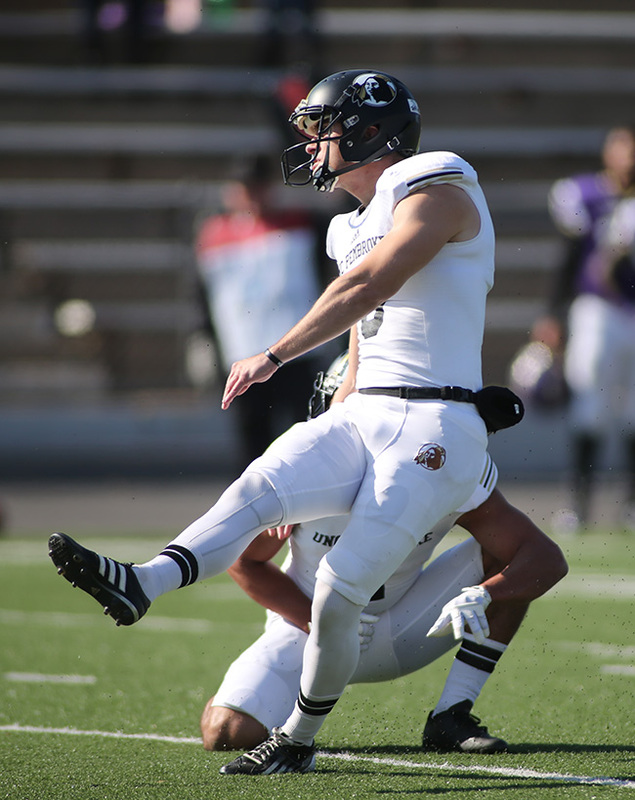 The Award is provided to the nation’s top place-kicker in FCS, Division II, Division III, NAIA and NJCAA for excellence on the football field and in the community. Over 750 place-kickers are eligible. Davis is very active in campus, civic and community service endeavors. He was hand-picked to be a member of UNC Pembroke’s Student-Athlete Advisory Committee, he volunteers to help the homeless in the community and he has been heavily involved in many Athletes in Action activities. The Award’s Selection Committee Chairman Rob Perry said, “There were many outstanding candidates for this Award. Matt holds numerous Division II and school records, and he even scored 13 of the Braves 19 points in a 19-18 win over Concord last month. We are looking forward to honoring Matt on February 20, 2017 during the National Football Foundation Chicago Metro Chapter Awards Ceremony.” Details for the Awards Ceremony are at nffchicagoawards.eventbrite.com.